Give your interior the ultimate in luxurious style, comfort and protection. Lloyd Ultimat Custom Floor Mats are crafted from ultra-heavy 32oz. nylon that's twice the thickness of factory mats. Lloyd Mats Ultimats are also fully customizable, letting you capture the exact style you're looking for. Lloyd Ultimat Custom Carpet Floor Mats are made for serious long-lasting quality and a true luxury look and feel. They're lined with a latex undercoat that acts like a barrier for liquids and spills, keeping your factory carpets looking showroom-new. Lloyd Mats feature a TractionBac lining that keeps them in place and prevents the mats from sliding around. Plus, every Lloyd Ultimat Carpet Floor Mat is fully custom-designed to your exact year, make, and model vehicle to ensure maximum floor coverage, a perfect fit, and seamless looks. They even come with grommets for factory carpet posts and security hooks to guarantee they stay put (not available on all vehicles). Lloyd Ultimat Custom Carpet Floor Mats have so many customizing options, the possibilities are just about infinite. They're available in over 10 different colors to complement your interior. You can add your choice of logos to the mats, including vehicle logos as well as a huge selection of lifestyle logos that let you show off who you really are. The carpet, embroidery text, logos, and even bindings are available in a wide range of colors, so just about any mat design you dream up can be yours. 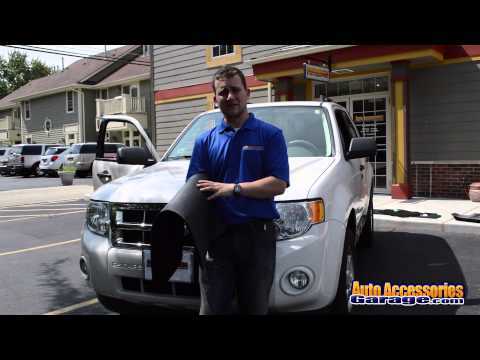 Dress up your vehicle with a fully custom set of Lloyd Ultimat Custom Floor Mats. Your Ultimat Lloyd Floor Mats are backed with a 5-Year Warranty. Lloyd Ultimat Floor Mats are fully custom-made to order. Embroidered mats can not be returned. Mats meet our expectations. Fit perfectly, color is great and quality is good. Prefect fit - prefect look! Mats are good quality easy to install excellent fit. I have purchased Lloyd’s mats previously and was pleased. Fit as advertised. Do you do custom embroidery? Please email and let me know... for future purchases. Thanks a lot. My new floor mats are sharp as hell! Disappointing that there's no Lincoln logo on it. Can't beat the quality and appearance. Good selection of logos. I just recommended to a friend about the carpet and when he saw mine he is also purchasing a set. Lloyd mats are the best on the market. Great customer service and prompt delivery. Couldn’t have beeen a better experience. Thanks! I really like the embroidery, that part of the mats with the Cadillac & SRX make the inside of the car feel high quality and brand new. I think the lack of factory backing to hold the carpet in place is not good, the clips are not the best solution and they did not include any for the pass. side. I think you should have mentioned having to use the clips to hold it in place, I would look for a different style next time.